The Art Gallery of New South Wales has announced Andrew Rogers’ selection as a finalist in the 2018 Wynne Prize. 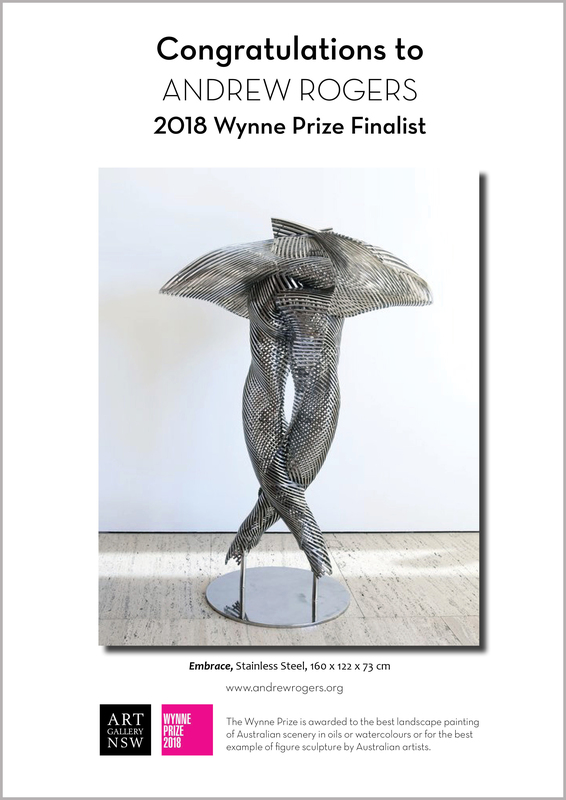 The Wynne Prize is awarded to the best landscape painting of Australian scenery or for the best example of figure sculpture by an Australian Artist. Rogers’ sculpture ‘Embrace’ will be on exhibition at the Art Gallery of New South Wales until September 2018.